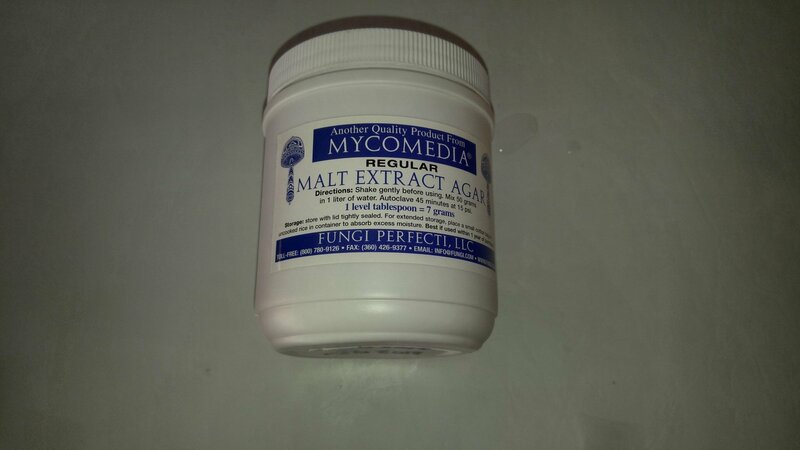 We are currently using Malt Extract Agar from Mycomedia. We purchased it from Fungi Perfecti (http://www.fungi.com). In the past, we have also successfully used agar agar plus Ovaltine (as it contains malt). 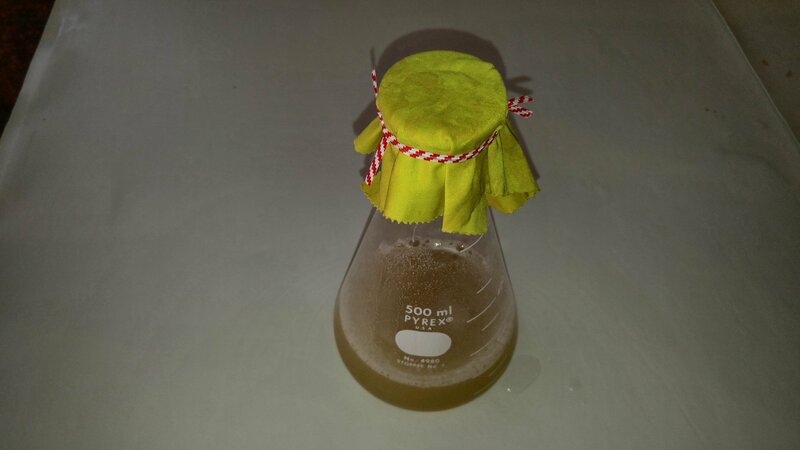 Plain agar is available on our store. We add a bit of sawdust to our agar mixture. 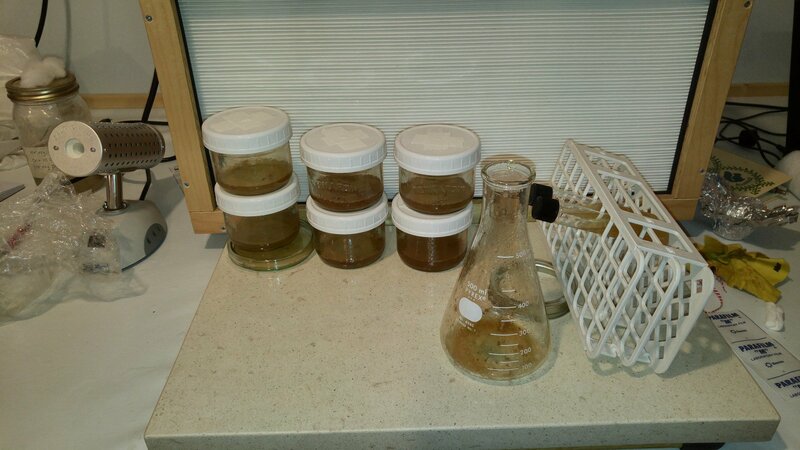 The most common amounts we use are ~8g of agar (which is less than what the directions say), a small bit of sawdust and 200ml of water. We use tap water because that’s the same water we use for our sawdust and grain. 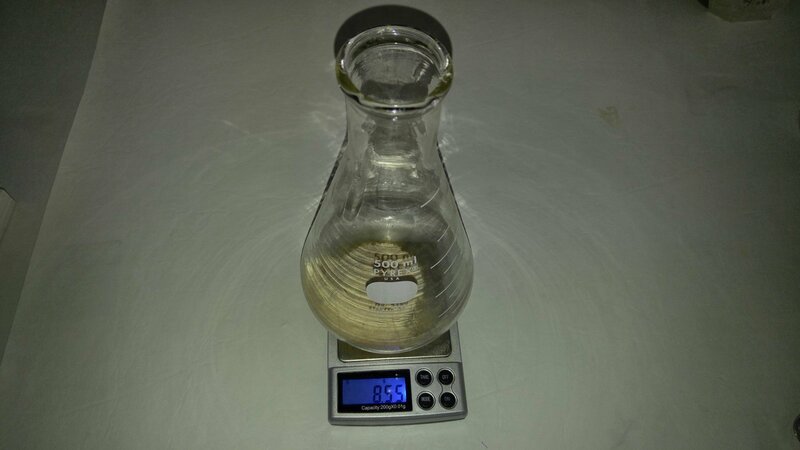 We didn’t think it was prudent to use distilled water for agar and not distilled for the rest of the process. We use an Erlenmeyer flask. You don’t have to use this particular piece of lab equipment but you do have to use something with a long neck. We have a precise weight scale for measuring grams. This does about 9 petri dishes. 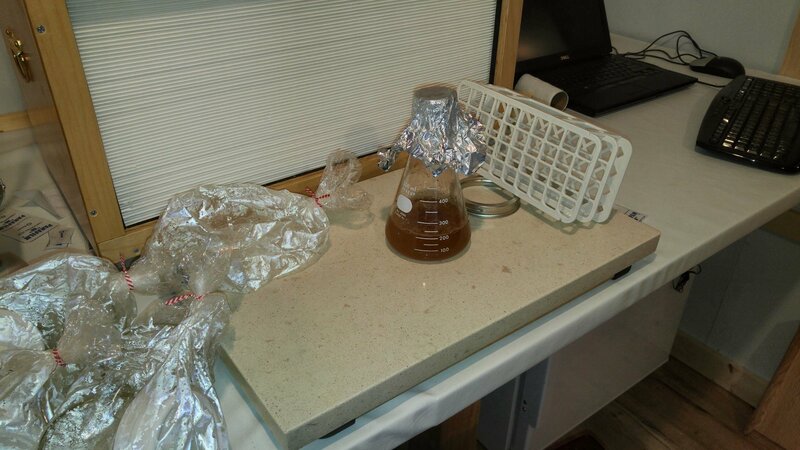 We use a glasses cleaner to cover the top of the flask. We wash it in between uses. It seems to work well. 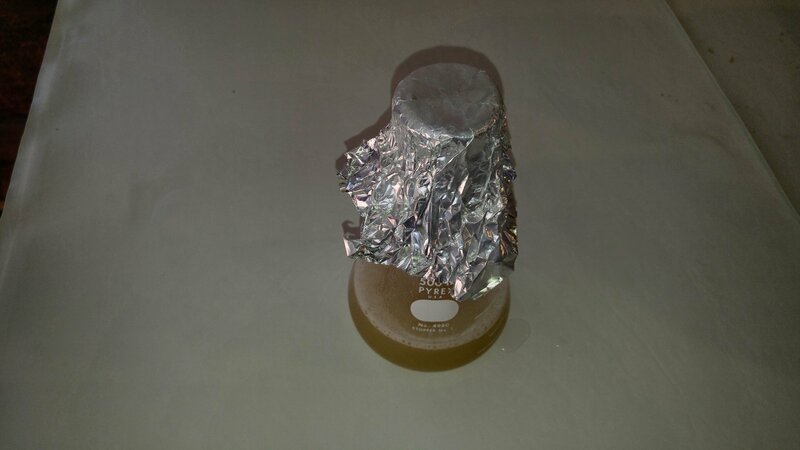 We use some tin foil to cover the flask top. It stops too much water from condensing. We use the 250ml wide mouth canning jars as Petri alternatives (purchase at Canadian Tire). 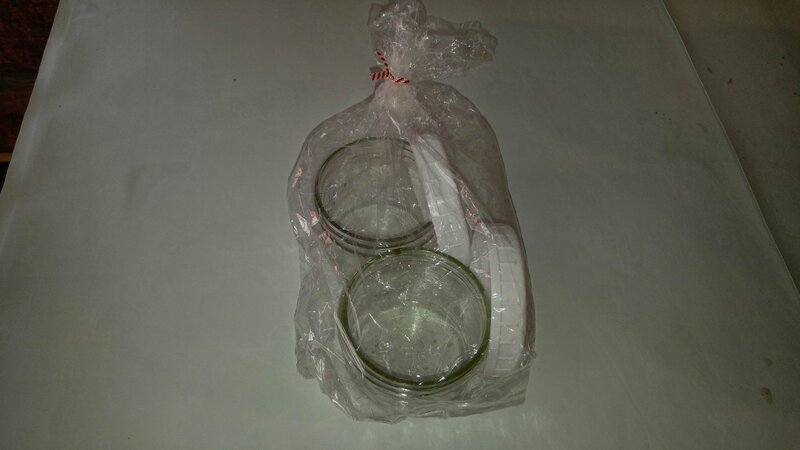 We do also use Petri dishes, and prefer them but they are more expensive (we sell them on our store). We drill holes in the lid (Bernardin plastic storage lids, purchase at Canadian Tire) and then cover with medical tape. See our article on lids. We load the pressure cooker, ensuring the agar flask is flat. 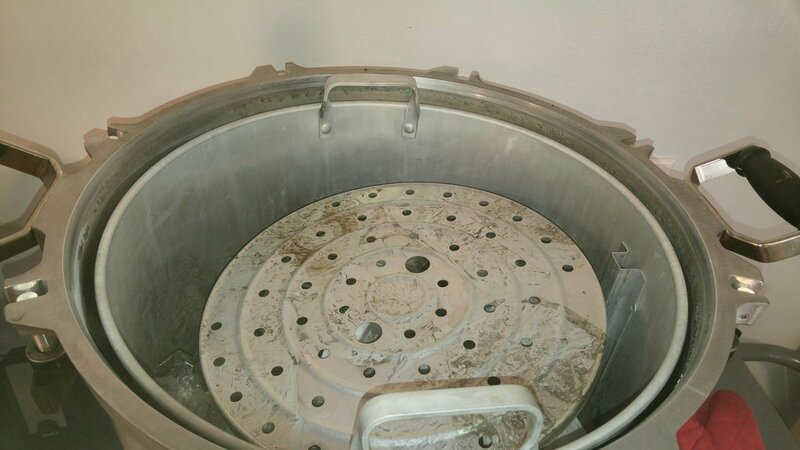 We always put a disk on top of the items in the pressure cooker to ensure the plastic bags do not block the emergency release valve. We pressure cook agar at 15psi for 45 minutes. 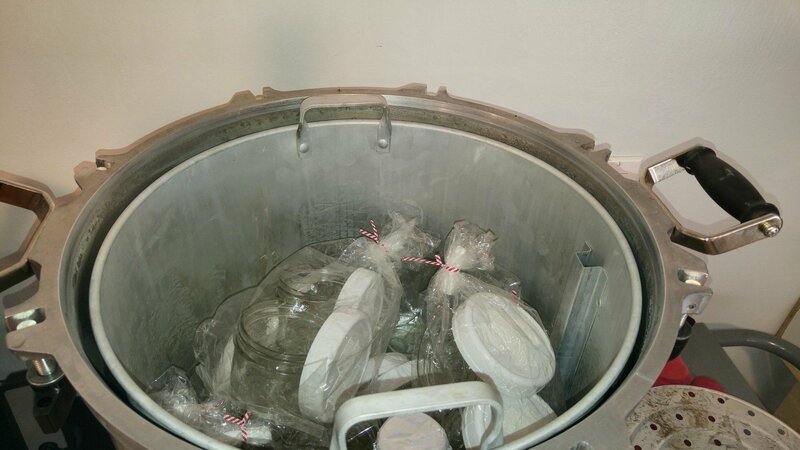 We then let the pressure cooker sit for 2 hours before pouring the plates. You have to work quickly. We pour the plates in front of the flow hood. One advantage of the jars is that they seal with one lid (no need for parafilm) so you can turn off the flow hood as soon as you are done.